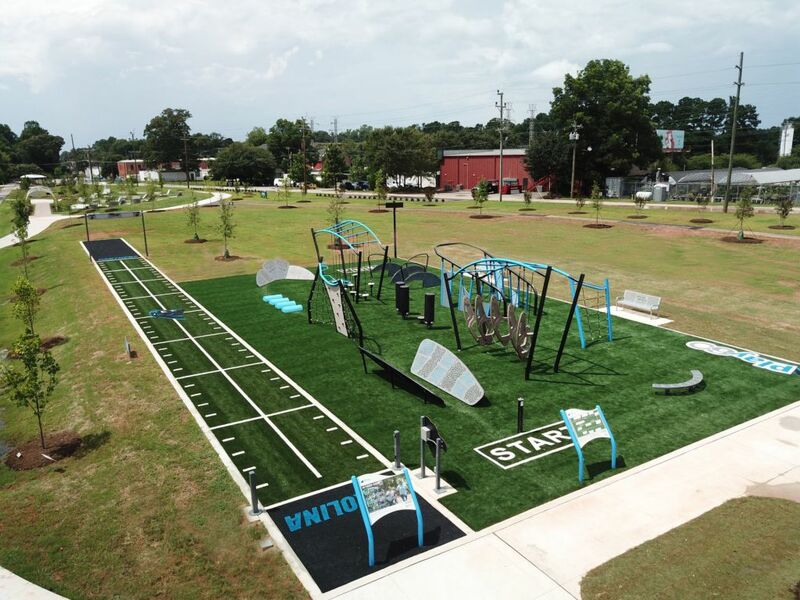 The first GameTime Challenge Course Pro opened Wednesday, July 25, 2018 along the Mary Black Rail Trial and the Rail Yard Community Park in Spartanburg, SC. 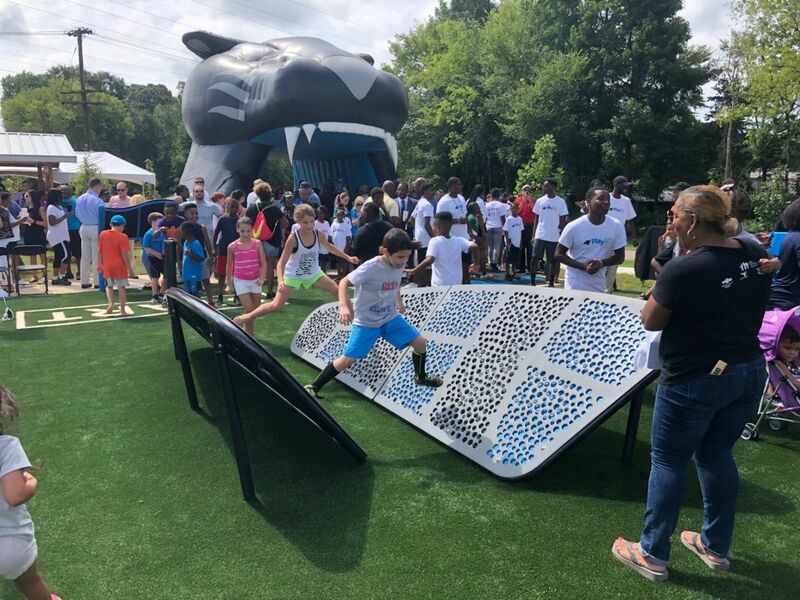 Panthers Play 60 GameTime Challenge Course Pro is described as a cross between an NFL Combine and American Ninja Warrior, and includes a timed 40-yard dash, a traverse wall, floating boards and other obstacles to challenge children’s agility. GameTime Challenge Course is a great way to keep children and adults active and motivated about being physically fit. A fun way for the whole family to stay fit. The Panthers Play 60 play project was a team effort with the Carolina Panthers, the Mary Black Foundation, Partners for Active Living, and Spartanburg Parks and Recreation Department. The park also includes a walking trail with GT FIT outdoor adult fitness equipment stations and yoga area, Trolley Plaza, Watershed Amphitheater, and a picnic shelter. Experience it for yourself ---GO Team Spartanburg! To read more on this Panthers Play 60 project click here. To view more images in our Flickr Gallery of this project click here.